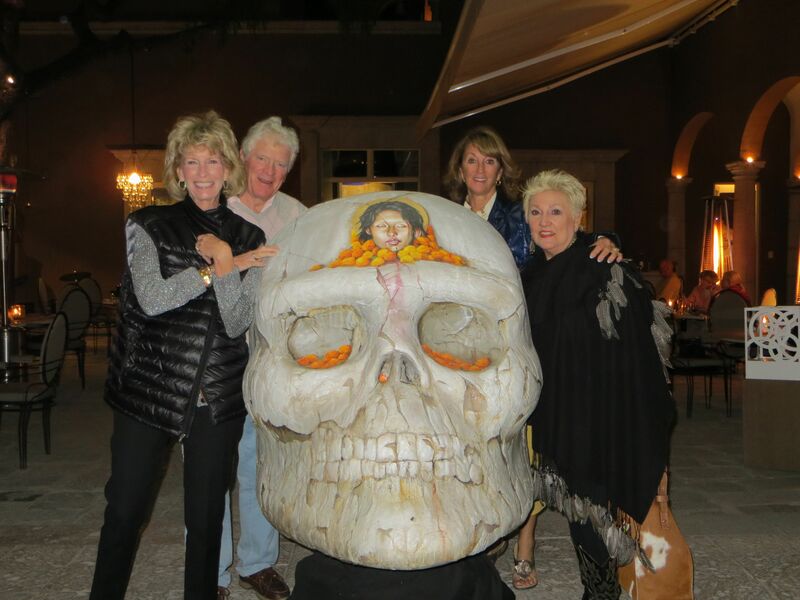 San Miguel de Allende has earned the reputation as an artist colony and friendly place for visitors from around the world. 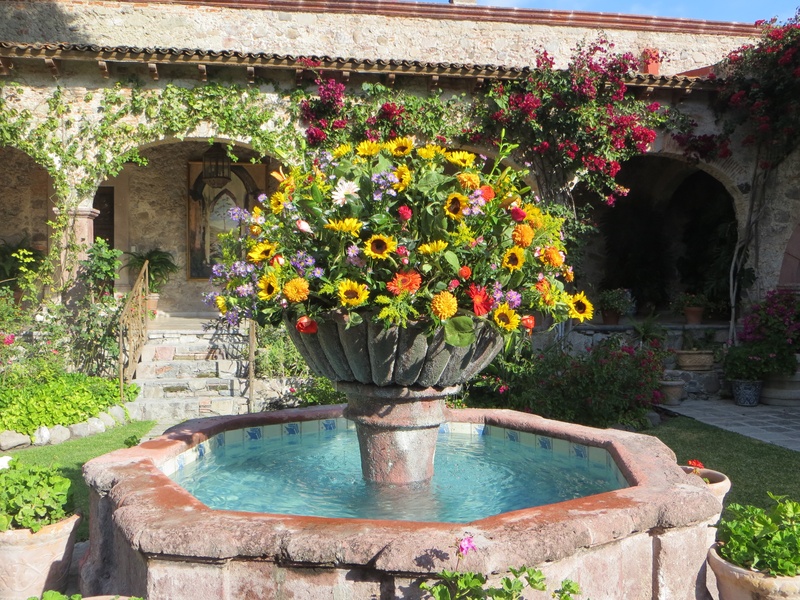 We had the great pleasure of staying at Carl’s cousins beautiful hacienda, but went exploring the city and surrounding. We made our first stop at Piedras, www.piedrassanmiguel.com, wonderful jewlry designed by Bill Harris and his team. You need to call before you go since the studio is in their beautiful home. 415-154-9193. Then we headed down the hill to have lunch at La Posadita, Cuna Allenda #13, up two flights of stairs to the roof top and great Mexican food and ofcourse a good beer. The next day we made a trip to Casa Katalina, on Jesus #16, this small craft store had so many wonderful pieces made by Dan that we did some great Christmas shopping. Each piece had a story of how it came together. From there we headed to Virgins Saints and Angles on Recreo 68. This place is hard to find but worth the trip. the doors are not marked so you think you are lost until you step inside. the owners have created wonderful, necklaces, ear righs and belt buckles. go to alejandra@vsadesigns.com or www.vsadesigns.com. We headed back to the house and had a simple lunch in the garden, pool time, since the days are always around 85 and the evenings are cool. Remember you are at 6,000 feet so it drops down to around 50 at night. The next day we went to the old textile factory, now a huge building housing artists studios and restaurants. Factory La Aurora is worth the visit we had a simple lunch at Food Factory La Auroar, nothing great but fine since we had a big dinner planned. There are so many shops to visit in the city center and the clean streets, welcome shop owners and beautiful building make you want to spend hours just exploring. That evening we had a very good dinner at a place aalled Calenda, Nemesio Diez #10, karen@calendarestaurante.com 415 15 47 129, across from the new Rosewood hotel. The owner, Keren Wix, was there making sure everyone was being taken care of. They had a small group playing jazz and the huge pepper corn tree was lit up as you enter the courtyard. The feature on the menu was pork and it was melt in your mouth perfect, slow roasted for 36 hours. After several shared courses we finished with a unique desert, it read brownie crumbs with sweet chilies. We had a great time and you will also. The last day we went back to pick up a few special treasures and finished the evening sharing dinner with new friends at a place called Los Milagros, hard to park so take a cab to Relox #17.
the next morning we had to catch an early flight so we had Julian Cartas pick us up and take us to Leon for our return trip. Julian has a very nice car and speaks english well e-mail him at j_cartas @yahoo.com, cell phone number 044 415 101 6024. This is a beautiful city, the sun always shines and everyone was happy to see us in their stores and restaurants.